However, though the ads will appear all the times, it doesn't guarantee revenue generation each time as most of the ads are CPC ads and it will only generate revenue when user clicks on them. Though google adsense is not only a CPC ad network and it also provide CPM ads, but its not in your control to show only CPM ads and google adsense tends to display CPC ads mostly. Anyway, to increase revenue generated by adsense several things has to be considered along with experimenting with different options available. Steps that we can take to increase revenue can be categorized into 2 main categories; ad positioning and ad management. In this article we will focus in ad positioning in your website. Also Read: Improve adsense revenue with new Page-Level Ads for mobile browsers. 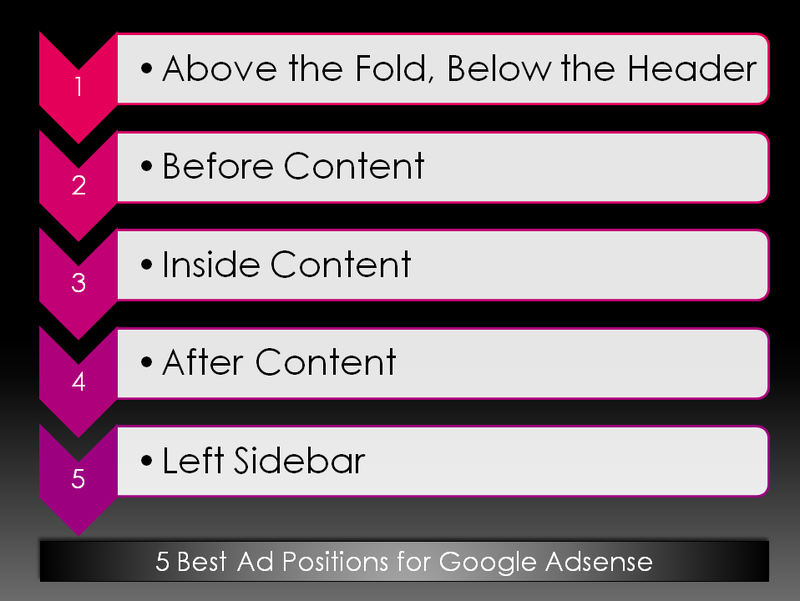 Even adsense suggest you to put the ads above the fold. 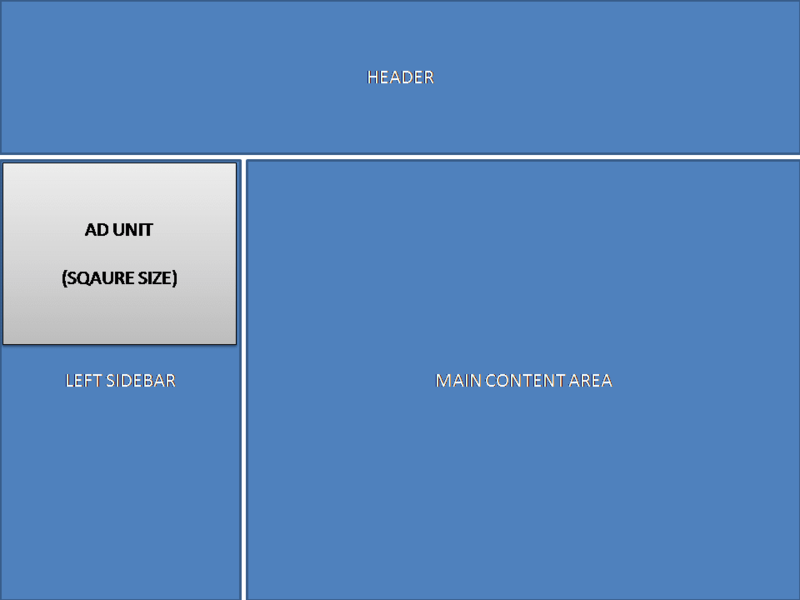 The term "Above the Fold" means the part of the website from top that can be seen at once in the browser without scrolling. This part of your website is important because user first notice this part of the website when start loading your website. First impression is the best impression, right? So this would be good idea to place ads in this part. But this would be bad if you put your ads in the header of your website. Why? 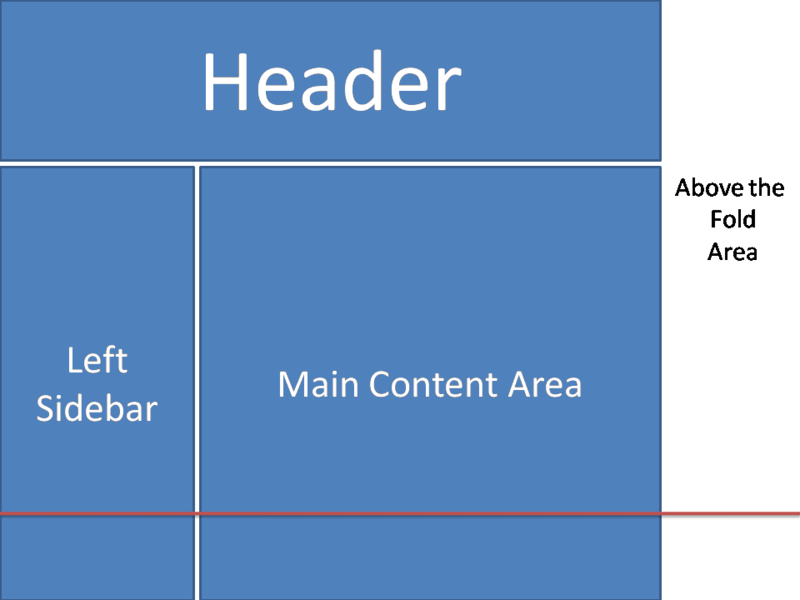 Because users now days know that the header of an website contains basically the name and logo of the website and navigational menus and they also know that the content is there after the header. So as soon as your site starts loading the user also starts scrolling down your header. There is a very rare chance that the user will even take a glance of the header at all. So less chances are there to have users to be clicking on ads placed on header. By "Before Content" I mean the space right before the starting point of your content. As far I can tell, for me, this is the most profitable ad position. 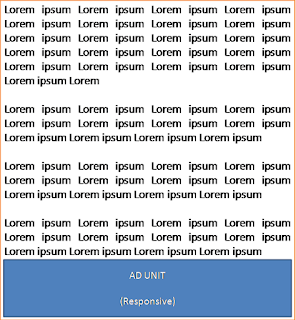 Now you can put an ad with center aligning before the content. 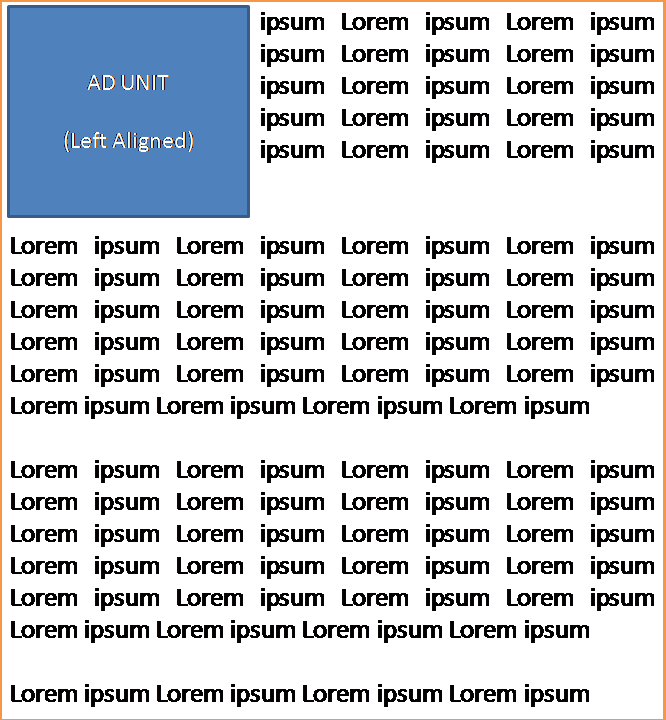 But I will recommend aligning the ad to the left of the content or to the right of content. 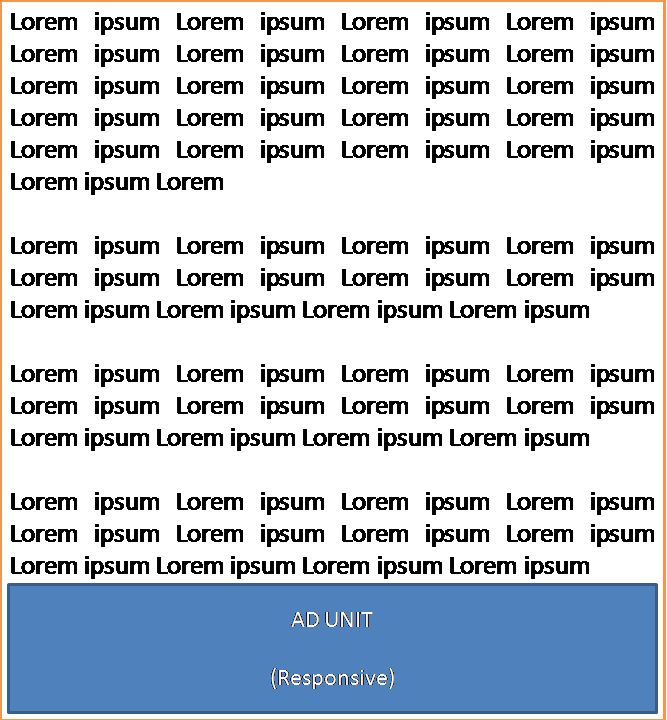 In this way a portion of your content will be displayed at the opposite side of the ad. I recommend writing a summery paragraph of the whole content at beginning of the content thus this summery will accompany the ad at the beginning of the content and the rest of the content goes after that. 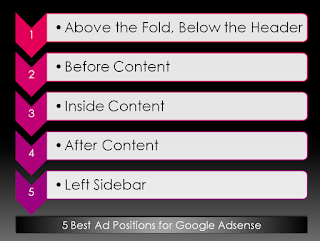 Read More: How to add adsense ads before the content in blogger template? This is the second most profitable ad position for me. You can use a responsive ad unit at this place and blend the text style of this ad unit with the content's style. This is very important that the ad should look like a part of the content. 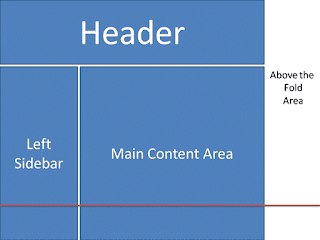 Read More: How to add adsense ad code in the middle of the content in blogger template. Yet another best ad position. After reading your content users will look for some place to go next. How it would be if it is the ad? Good, right? Yes, so place an ad unit here and see how it works for you. 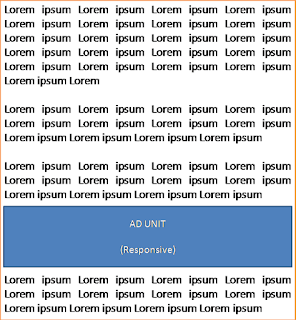 Read More: How to add adsense ads after the content in blogger template? The last ad position is the left sidebar. Also the very top of the left sidebar. 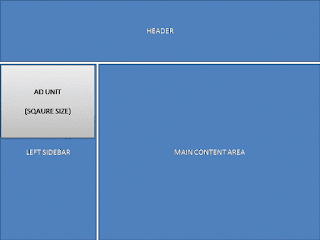 You can place an square ad unit of size 300x250 or 336x280 at this place. 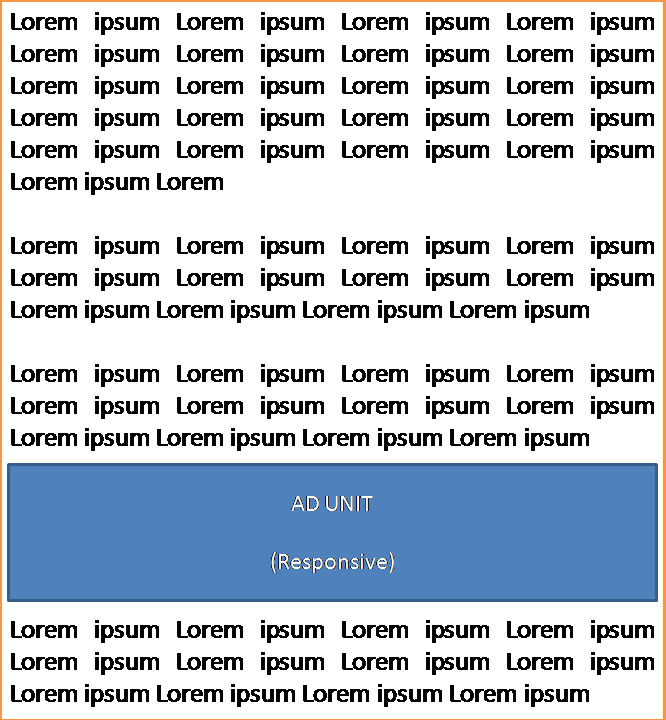 Finally, for each of your ad units, do not forget to blend the text style of your ads with the styles of your website. For example the background color, link color, font family etc. Let me know, how these ad positions are working for you in the comments bellow.